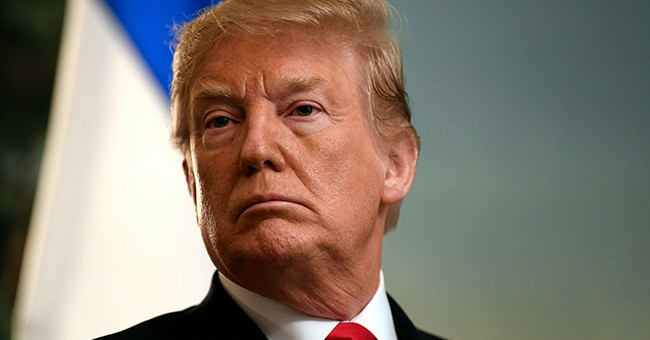 Despite the exoneration provided by the Mueller Report, it is clear that Donald Trump will not rank as one of the most universally liked presidents. There should, however, be no dispute that he is one of the most courageous and consequential chief executives of the past hundred years. In an era when so many get their news from rantings on Facebook and the absurd monologues of late-night comedians, a commander in chief that deals with sometimes painful facts, with no nod towards the mantra of political correctness, comes as a rather shocking change of pace. It’s the political equivalent of having icy water splashed on your face when caught dozing on the job. Whether or not one agrees with his solutions, the 45th President has attacked vital issues that his predecessors have not had the political guts to pursue. China’s unfair trade policies, Europe’s failure to pay its fair share for its own defense, a bureaucracy that seeks to wrest power away from the elected government, the defiance of free speech on college campuses and the unjustifiable and unconscionable tuition hikes by those same institutions, taxes and regulations that hamstrung American business and harmed the middle class, a media that abandoned its ethics and became a partisan participant in campaigns rather than an honest reporter of them, and a wholly ridiculous and broken immigration system are key areas that Trump has focused on which have intimidated other politicians into silence. Add to those topics his quest to rebuild a shockingly weakened military, the revival of a manned space program virtually mothballed by the Obama Administration, and his willingness to meet face-to-face with the North Korean leadership. Include also his stand against the rising tide of anti-Semitism, and his confrontation against the anti-traditional values moves by a growing portion of the Left. He has done this despite an unprecedented level of criticism from the press and, in many instances, without the assistance or support of many leaders of his own party. He has refused to back down even in the face of harsh and probably unlawful legal assaults by corrupted leaders of the FBI and the CIA, as well as the astounding rulings of the Ninth Circuit Court of Appeals, which ignored the Constitution and statutory law in its bid to overturn the legal prerogatives of the Trump Administration. It’s still early to determine the results, but the outlook is promising. Examples: The economy has improved significantly, not just for Wall Street but for Main Street as well. Blacks now have the lowest level of unemployment in history. ISIS’s territorial caliphate, which Obama seemed unable to tackle effectively, has been eliminated. The spate of terrorist attacks on US soil has been reduced. America, to the shock of many, has become virtually energy independent. Types of jobs once thought permanently in decline are coming back. Confidence in the military is reviving. Allies are regaining trust in Washington. America will soon regain the lead in human space flight. China is realizing that it will not be able to continuously rob American jobs and steal intellectual property. North Korea has pulled back from the brink of war. Trump’s failings are largely in unquantifiable areas. His red-meat rhetoric, blunt speeches, and hard-nosed refusal to ignore any slight has not allowed him to win over those who were inclined to dislike him. This includes some who even agree with his policies. His refusal to back out of unnecessary fights has produced more harm than good for him in far too many instances. His accomplishments would be exceptional for an eight-year presidency. For an administration of less than three years, in the face of vicious, unwarranted, and extraordinary attacks from its enemies and without much help from its own party, they are little short of miraculous. Frank Vernuccio serves as editor-in-chief of the New York Analysis of Policy & Government.